If you think dragons are a myth, you’ll learn otherwise in these stories. Furthermore, you will learn about the elves, and discover an entire world you didn’t know existed right under your nose. In her search for material for books, Luzi stumbles upon many secrets and old wisdom, signs of lost ancient knowledge. When searching for truth, one may find love and friendship that one has been looking for, even in places abandoned many years ago, or in realms not of this world. This series gives you a unique opportunity to enjoy incredible adventures. You gain so-called lost knowledge, in a world that tries to wake up from its long slumber, but is distracted by the ‘noise’ from the same world. The dragons are awakening, not to destroy us, but to guide us in our quest for a deeper understanding of our place in creation. Book 3, (late 2019). Cover by Nancy Batra. by Eriqa Queen • Visit the series website at Adventures of Luzi Cane • Cover art by Ricardo Robles. 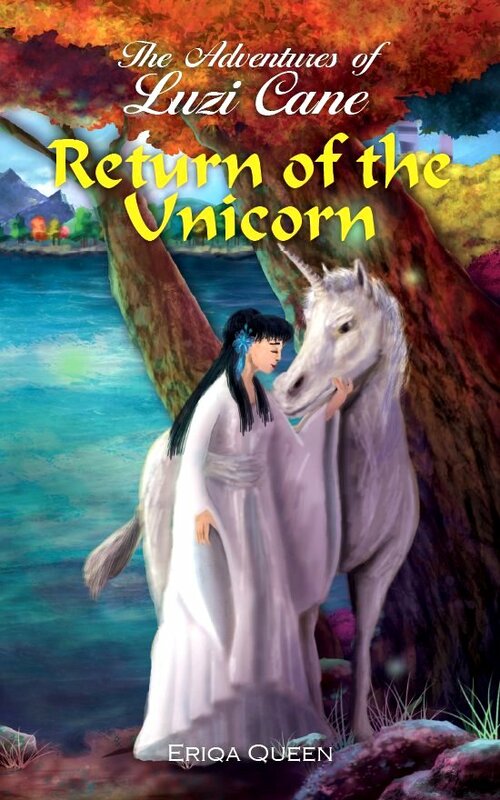 Future titles (so far) in the Luzi Cane Adventures series will be Return of the Unicorn which will be about the true magic and wonders of the connections to our highest glory, and The Truth of the Black Dragon explaining our dark side. 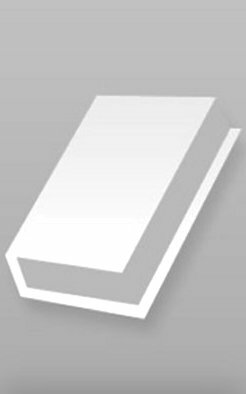 Download links for e-books from this site is valid for 24 hours. This second book in the series brings more pieces to the puzzle, to connect already-placed pieces scattered on the table-top we call ‘the human experience’. When the Christ Consciousness was prepared around 630BC, a celestial order of teachers and supporters named The Crimson Council was formed. In parallel, a human group got together on Earth and the colour crimson was used to identify individuals in the Crimson Circle. Over the years, the collective consciousness of this group has become an entity of its own and may be perceived as a crimson dragon named Shaumbra! 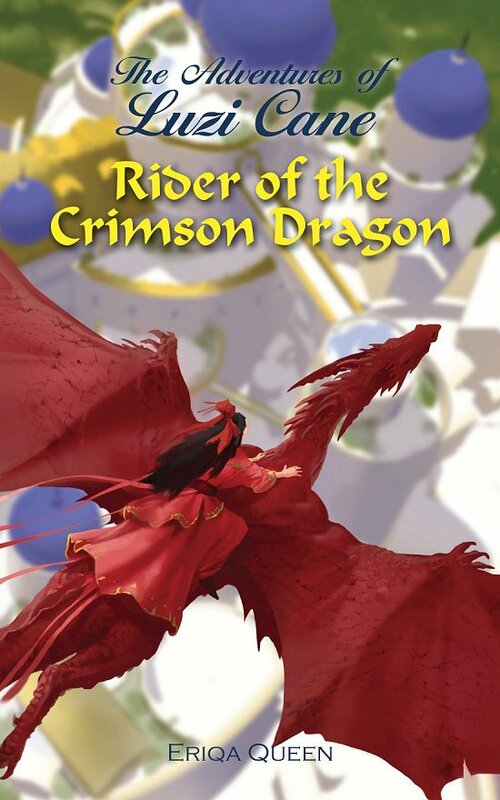 Luzi works with two students to discover true historical events and meet this crimson dragon. It turns out that Shaumbra has quite a personality and, together with the white dragon, Loong, the Elven woman, Josela, Quan Yen, Gaya, Merlin, Nikola Tesla, Saint Germain and others, they gain information from the past and future. What they find is not commonly accepted, but it fits with hidden and not-so-hidden knowledge dismissed by established society. Luzi’s unborn daughter brings light into everyone’s hearts and plays a major role in balancing a broken family. All end up having a different view on life. Even though the book is part of a series, this is a complete story in its own right. What happened in MY past lives? What IS past and future? Future titles (so far) Return of the Unicorn which will be about the true magic and wonders of the connections to our highest glory, and The Truth of the Black Dragon explaining our dark side. If you think dragons are a myth, you will learn otherwise in this story. Furthermore, you will learn about the elves, and discover a whole world that you didn’t know existed right under your nose. In her search for material for an upcoming book, Luzi stumbles upon many secrets and old wisdom, signs of seemingly lost, ancient knowledge. When searching for truth, one may find love and friendship that one has been looking for, even in places abandoned many years ago, or in realms not of this world. 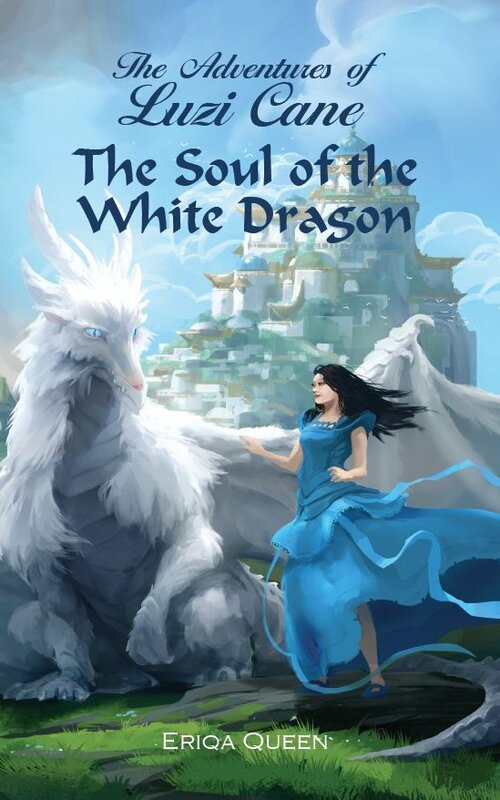 The Soul of the White Dragon, the first book in the Luzi Cane series, gives you a unique opportunity to enjoy an incredible adventure. At the same time, you gain so-called lost or hidden knowledge, in a world that desperately tries to wake up from its long slumber but is distracted by the ‘noise’ from the same world. The dragons are awakening, not to destroy us, but to guide us in our quest for a deeper understanding of our place in creation. Even though the book is a part of a series, it contains a complete story in its own right. Luzi’s adventure is a very enjoyable read and I can recommend it. I only hope that there is some kind of continuation, because the characters are waiting. Amazing. It is an amazing book, full of knowledge of a person who reached enlightenment. It helped me to simplify and reinforce my connection to the invisible ones. And it is a story full of love to all that exists. I will certainly read the next books of this series! I loved the book about the White Dragon so much, just ordered the Crimson Dragon, such a special writing-skill being performed by the author! Love this book! It opened me to exploring more than this 3D reality. I have had so many personal adventures since reading. Even met Quan Yin! Absolutely magical, enchanting and inspiring! Thank you Eriqa Queen!